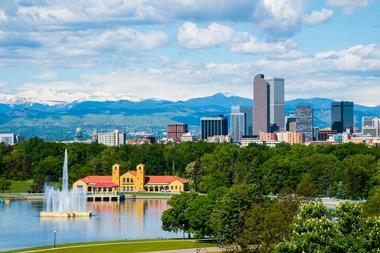 The bustling American metropolis is home to an array of attractions that can be explored with kids such as the Denver Museum of Nature & Science, which is packed with a variety of displays, exhibitions, interactive activities about the natural history of the Colorado and Rocky Mountain region. Other fun things to see and do in the city with kids include Larimer Square, the Denver Botanic Gardens, the Downtown Aquarium, and the Denver Zoo. 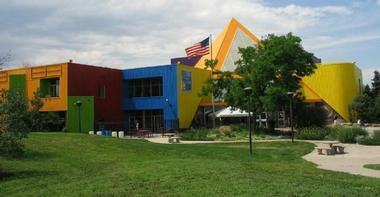 The Children’s Museum of Denver at Marsico Campus provides an interactive, educational and exciting way for children to explore, discover and learn through play. The museums expertly designed exhibits, specialized programs for all ages and hands-on approach to learning all aim to create a community of “kid-powered learning.” Founded in 1973, the museum features innovative and interactive Playscapes (hands-on exhibits), including ‘The Big Backyard’, an oversize introduction to life in the backyard, ‘The Assembly Plant’, where children can build and construct to their hearts’ content, and ‘Fire Station 1’, where they can learn about the job of a firefighter on a real fire engine. The museum also hosts engaging daily workshops and programs for children, as well as exciting year-round special events. The Denver Children’s Theatre (DCT) has been hosting productions and performances of classic children’s stories for more than 20 years. Established in 1997 to provide high quality, educational and enjoyable entertainment for all ages, the theater is hailed as one of the best in the area. The theater features a full stage, state-of-the-art equipment, stage combat, sets and costumes, and each show is selected to nourish active minds, inspire creative play, and engage young audiences. The Denver Children’s Theatre (DCT) offers educational programs and workshops such as Encore!, which connects the major themes of the play to the lives and experiences of children in the audience through acting and technical seminars, backstage tours, and talkbacks with the cast. Formerly known as the Denver Museum of Natural History, the Denver Museum of Nature & Science is a museum that focuses on educating visitors and children about the natural history of the Colorado and Rocky Mountain region, as well as the Earth and Universe through scientific study. The museum hosts a variety of displays, exhibitions, interactive activities and educational programs for all ages that encourage curious minds to ask, explore, discover and learn, and is home to more than one million objects in its collections. Educational programs cover the fields of anthropology, paleontology, geology, zoology, health and space science and permanent exhibits include ‘Discovery Zone’ – a hands-on educational center for children; ‘Egyptian Mummies’ – a journey back to the days of the Pharaohs; ‘North American Indian Culture’ – a look at the heritage of the North American Indian; and ‘Space Odyssey’ – a step into the future. 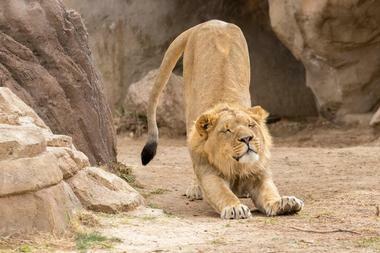 Located in the City Park, Denver Zoo is home to over 4,000 animals from 600 species which live in a variety of natural habitats across 80 acres of zoo land. Founded in 1896, the zoo was started with an orphaned black bear cub called Billy Ryan and has since grown into one of Denver’s most popular attractions. Boasting species from all over the world, ranging from primates, pachyderms and carnivores to reptiles, birds, and fish, the zoo is designed in a circular loop, which covers a variety of habitats and animal enclosures, including Bear Mountain, Primate Panorama, Predator Ridge, Giraffe House, Toyota Elephant Passage, and Bird World. Other facilities at the zoo include the Endangered Species Carousel, showcasing some of the many endangered species in our world, the Pioneer Train, which offers an exciting trip around the zoo’s carousel meadow and flamingo lake, and the Wild Encounters outdoor amphitheater, which is designed for wildlife presentations and educational programs. The Downtown Aquarium is an entertainment and dining complex with a state-of-the-art aquarium that features more than a million gallons of underwater exhibits that showcase fascinating ecosystems from all around the world and house more than 500 species of marine and land creatures. Opened to the public in 2005, the Downtown Aquarium boasts several fascinating exhibits such as North America, In the Desert, Under The Sea, At The Wharf, The Rainforest, Coral Lagoon, Sunken Temple, Shipwreck, and At The Beach. 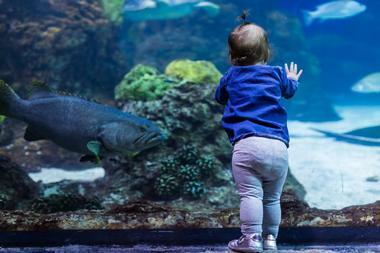 Other fun features at the aquarium include the Aquarium Express, a specially designed electric train that rides around the Aquarium exploring wetlands and the South Platte River, and an Aquatic Carousel with painted ponies and mystical sea monsters. The Downtown Aquarium also boasts a full-service restaurant, an upscale bar, and a fully equipped ballroom for private events and functions. Founded in 1792, The Denver U.S. Mint is a branch of the United States Mint and is responsible for manufacturing legal tender coinage and circulating it for the nation to conduct its trade and commerce. The Mint also produces coin-related products, including silver and gold bullion coins, Congressional Gold Medals, and proof, uncirculated, and commemorative coins, and is the single largest producer of coins in the world. Visitors can take a free, guided tour of the mint to see how billions of coins are produced each year and learn more about the rich history of the United States Mint. Tours are strictly for adults and children over the ages of seven, and the Mint’s Gift Shop sells a variety of coins and unique souvenirs. Nestled in the Cheesman Park neighborhood, the Denver Botanic Gardens is a public botanical garden that boasts a variety of theme gardens, a glass-enclosed conservatory and a sunken amphitheater that hosts open-air concerts during the summer. The Denver Botanic Gardens are made up of three locations, namely the formal garden on York Street in East Denver, the natural meadows and riparian areas of the Chatfield gardens and the alpine wildflower gardens of Mt. Goliath. The York Street gardens feature seven themed gardens that include endemic to Colorado and neighboring states, as well as the most extensive collection of plants from cold temperate climates around the world. In 1986, the gardens introduced the world's first Xeriscape Demonstration Garden (later named the Dryland Mesa), which is home to drought-tolerant plants from the arid West and Mediterranean region. 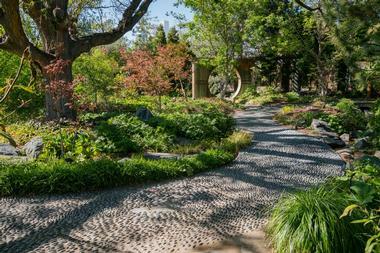 The Denver Botanic Gardens also feature a Japanese Garden called Shofu-en and the Mordecai Children’s Garden, which offers a beautiful oasis for families and children to play. 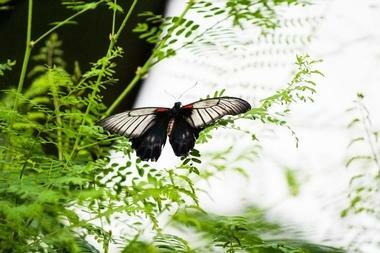 The Butterfly Pavilion is a 7,200 square-foot tropical rainforest and insect zoo in Westminster that is home to countless butterflies, numerous species of other insects, and over 200 plant species from around the world. Opened in 1995, the climate-controlled conservatory features five exhibit areas including four indoor exhibit halls, beautiful outdoor gardens, and winding nature trails. Exhibits and habitats include the Wings of the Tropics, which house 1,600 free-flying tropical butterflies, Crawl-A-See-Em, which showcases a range of spiders, including Rosie the tarantula, and Water's Edge, which allows visitors to explore the world of ocean invertebrates. 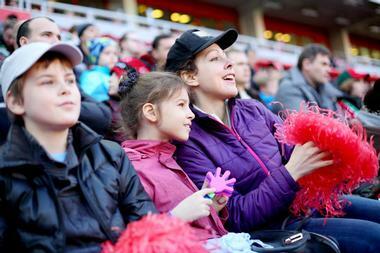 Interactive experiences include a touch tank, interaction with live animals and immerse technology that explores science and conservation topics. 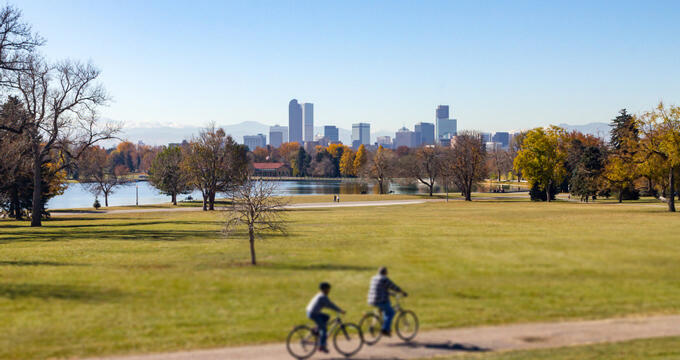 City Park is a 330-acre neighborhood park in east-central Denver that is home to the Denver Museum of Nature and Science, the Denver Zoo, the Ferril and Duck Lakes, and a charming boathouse. The park, which is the main park in the city, also plays hosts to several summer concerts which draw thousands of visitors every season, and offers an array of outdoor recreational activities, such as boating, paddle-boating, and kayaking on the lakes, hiking, and biking in the nature trails, and private events and functions can be held at the boathouse. Ferril Lake is home to the Prismatic Fountain which was designed and built by engineer Frederic W. Darlington in 1908 and features bright LED lights which cycle through different formations. Opened in 1922, the Denver Art Museum (DAM) is one of the largest art museums in the West and is renowned for its magnificent collection of American Indian Art, as well as permanent and evolving collections of over 68,000 unique works from around the globe. 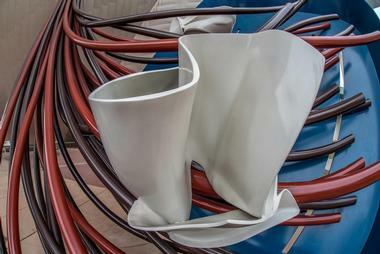 Located in the Civic Center in Denver in an award-winning building designed by Frederic C. Hamilton, the museum’s collections are spread over nine curatorial sections, ranging from architecture, design, and graphics to Asian, New World, European and Modern art. The museum holds several programs and workshops throughout the year, including ‘Meet the Artist’ where visitors can get to meet the artists of various exhibitions, as well many interactive events for the whole family to enjoy. General admission to the museum is free for children every day. The Colorado Rockies are a Major League baseball team based at the Coors Field in the Lower Downtown area of Denver. The professional baseball team is a member club of the National League West division and won their first National League championship 11 years ago. The 76-acre Coors Field is situated in Denver's Ballpark neighborhood with magnificent views of the Rocky Mountains and is famous for hosting the highest home runs in history. Combining the nostalgic feel of a 1920s urban ballpark with 21st-century technology, Coors Field is renowned for its old-fashioned brick façade and famous signature clock, where fans meet before a game. Tours of Coors Field can be taken to explore the history of this famed stadium and the role it has played in the game of baseball. Group and private tours can be arranged and take a unique behind-the-scenes look at one of the main ballparks in Major League Baseball. Lasting for about an hour and covering a mile in the distance, tours include visiting the dugouts, the field, the Coors Fields' microbrewery; the Rockies merchandise store, and the Mountain Ranch Club. Located on the grounds of the former Lowry Air Force Base in Denver, the Wings over the Rockies Air and Space Museum (WOR) is a museum which was opened in 1994 with the aim of preserving the history of Lowry AFB's operations from 1938 to 1994. 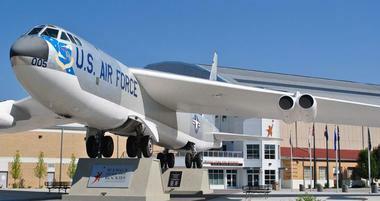 The museum is housed in historical 40,000 square feet (4,000 m2) hangar built in 1939 and features some collections, including the USAF’s B-1A Lancer and B-52 Stratofortress Bombers, a room of archives documenting the history of military and general aviation aircraft, and an excellent research library. The museum runs some educational and hands-on learning programs, such as the Wings Aerospace Science Program (W.A.S.P), Kid Space, and the Air and Space Camp for children of all ages. The Wings over the Rockies Air and Space Museum is the official state air and space museum, and the site of Colorado’s Aviation Hall of Fame. Confluence Park is a 265-acre urban park and riparian oasis surrounding the confluence of Cherry Creek and the South Platte River in Denver's bustling Lower Downtown district. 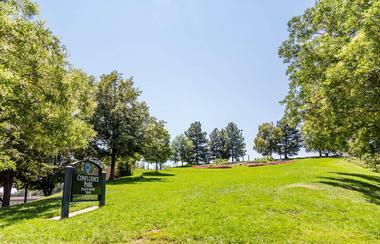 The park features an array of outdoor recreational facilities, including hiking and mountain biking trails, sunny and shaded picnic spots, well-stocked fishing lakes, a safe swimming area, a fitness course, and modern restrooms. The eastern side of the South Platte River is a favorite kayak run, while the western side is part of the Platte Valley Trolley route that runs from Memorial Day weekend through Labor Day weekend for all Denver Broncos home games. 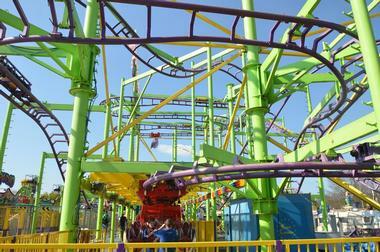 Located in the heart of Denver, Elitch Gardens Theme and Family Water Park, also known as Elitch’s, is a family-friendly amusement park that offers a wealth of fun for the whole family. Established over 125 years ago, the world-class combination theme and water park feature a wealth of attractions ranging from water slides, edge-of-your-seat extreme thrill rides, and interactive shows for the whole family to KiddieLand attractions, Dive-In Movies, and free concerts. A 20-story Observation Tower and the Tower of Doom ride boasts breathtaking views of Denver and other amenities include private cabanas, restaurants, cafés, and bars, concessions selling all types of food and drinks and more. 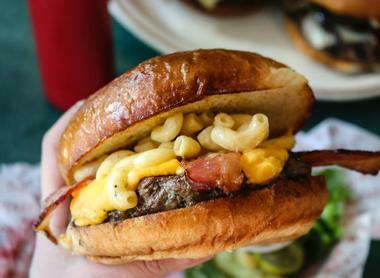 The Fort is an award-winning Western-style restaurant in Denver, named as one of America's most scenic restaurants by OpenTable in 2017. 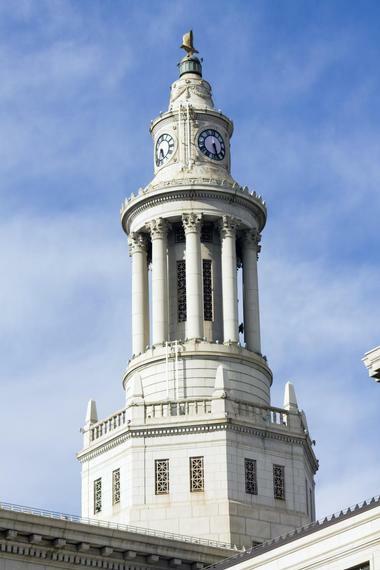 The restaurant, which has been acclaimed by international publications and television series such as The New York Times, Bon Appetit, and The Today Show, is the nation's leading independent-restaurant seller of buffalo steaks, serving up a delectable menu of dishes emphasizing top-quality beef, buffalo, and seafood. 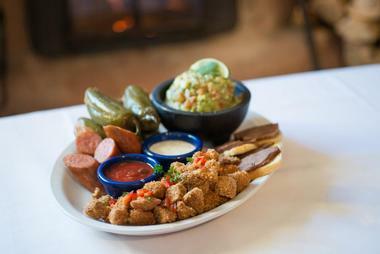 Unique appetizers such as buffalo empanadas and duck quesadillas complement elegant entrees such as elk St. Vrain, buffalo filet mignon, and teriyaki grilled quail. Groups of 10 or more can also tour the picturesque restaurant, which has been listed on the National Register of Historic Places. 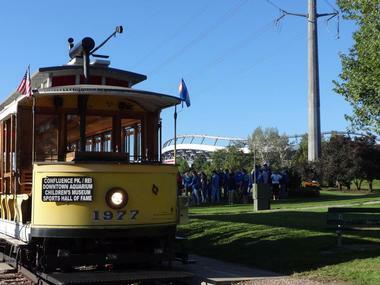 The Denver Trolley is a seasonal open-air trolley that offers scenic rides along the South Platte Greenway and Downtown Denver taking fans and visitors to and from Denver Broncos games at the Broncos Stadium. Trolleys depart from Confluence Park station and make their way along the South Platte Greenway and through downtown Denver to Broncos Bridge and return the same way after the game. Denver Trolley operators are very knowledgeable about the history of the area and share interesting facts and snippets of fascinating information along the way. The Denver Trolley is also available for private charters for special occasions such as birthday party rides, family reunions, and corporate team-building functions. 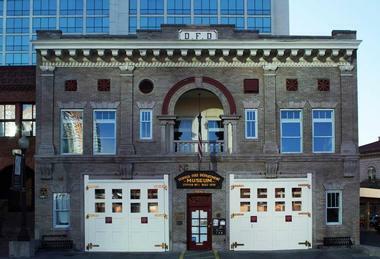 The History Colorado Center is a museum dedicated to the history of the state of Colorado. Opened to the public in 2012 at 1200 Broadway, the History Colorado Center is managed by History Colorado, formerly the Colorado Historical Society and features six permanent hands-on and interactive exhibits: Living West, Colorado Stories, Denver A-Z, Destination Colorado, Time Machine, and Denver Diorama. The Living West exhibit explores the living dynamics between the people of Colorado and their state’s environment; Mesa Verde features dioramas and artifacts from the Ancestral Puebloans; Dust Bowl takes visitors back to the Black Sunday storm of the 1930s, and Mountains showcase some of the wildlife Colorado's mountains have to offer. The Stephen H. Hart Library & Research Center boasts a collection of artifacts, documents, and photographs relating to the History of Colorado's Collection. The Morrison Natural History Museum is Jefferson County's original paleontology museum and is dedicated to exploring the rich natural history of the region. 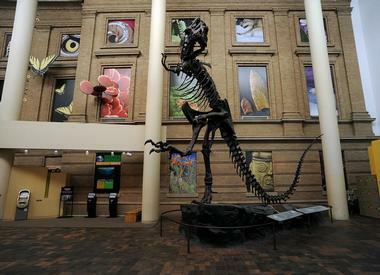 Located 25 minutes west of Downtown Denver in Morrison, the Morrison Natural History Museum offers visitors the opportunity to view real fossils that have been found in the area such as baby Stegosaurus fossils, the muzzle of Apatosaurus Ajax, and baby sauropod tracks. Visitors can also see how research is done into fossil finding and preparation in the laboratory and is an excellent orientation to the Red Rocks and Dinosaur Ridge areas. The Museum can be self-explored or enjoyed on a guided tour with an expert docent and are available three times a day. 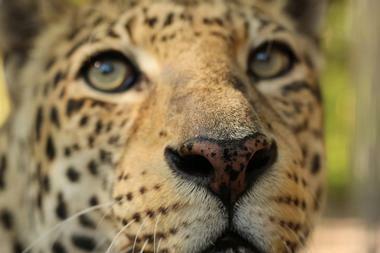 The Wild Animal Sanctuary is a 789-acre animal sanctuary that specializes in rescuing and caring for large predators that have saved from ill-treatment or possible euthanasia. Located near Keenesburg, the refuge was established to protect and care for a variety of animals, as well as educate people about the Captive Wildlife Crisis. The unique facility features large open habitats in which the rescued animals live, with elevated walkways that span across the habitats, allowing visitors to view the animals in their natural habitats. The sanctuary is home to large cats such as lions and tigers, and other large carnivores like wolves, and bears who all co-exist peacefully in their no safe environment. 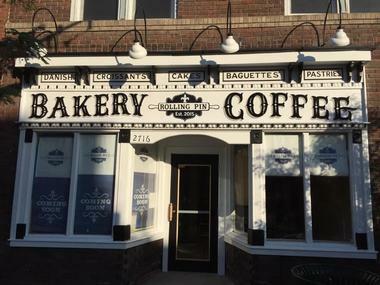 The Rolling Pin Bakeshop is a charming neighborhood café and bakery that serves freshly baked cakes, pastries, bread and sweet treats, along with home-brewed coffee, tea, and other hot drinks. Located in Five Points in a beautifully preserved building dating back to 1894 with a quaint storefront, high ceilings, and tiled floors, the lovely little café has French bistro tables, wooden chairs, school-house light fixtures, and an old-world vibe. Combining European and East Coast flavors, the menu features mouthwatering croissants, Danishes, cinnamon rolls, and eclairs, along with homemade cakes, cookies, freshly baked bread, and cream puffs. Hot, freshly brewed Commonwealth coffee is served all day, and the Rolling Pin Bakeshop is open for breakfast and lunch, seven days a week. The Tattered Cover Book Store is a large indie bookstore and café that sells new and used books, along with pre-discounted bargain editions. The friendly, neighborhood gathering spot features comfortable sofas and overstuffed chairs, a world-class newsstand, and shelves packed with all types of books and magazines. The Tattered Cover also hosts a variety of events throughout the year such as live author signings and lectures, readings, and meet-and-greets with authors, illustrators, and public figures. 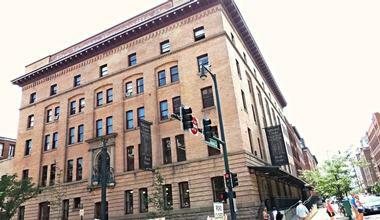 Boasting four locations around the city, the Tattered Cover Book Store is open every day of the week. Hammond’s Candies is a traditional candy store in Denver that has been making and selling authentic candies for more than 100 years. 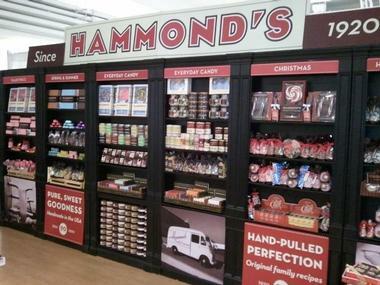 Established by Carl T. Hammond, Sr. over a century ago, Hammond’s Candies grew from a small family business into the iconic brand with international distribution it is today. The store sells an array of candy ranging from candy canes, ribbon candy, lollipops, and marshmallows to caramels, cocoa, popcorn, and sticks and stirrers, all of which are made in the on-site factory, which visitors can explore on complimentary guided tours. Giant video screens throughout the factory where visitors can view how the candies are made, as well as learn about the history of Hammond’s Candies in the Mile-High City. Little Man Ice Cream is a charming, neighborhood shop selling unique flavors of homemade ice cream and handcrafted sweet treats in a bright and inviting atmosphere. Located in a 28-foot tall milk-jug shaped shop which was inspired by the vintage Coney Island hot dog-shaped stands, the family-friendly shop is named after founder Paul Tamburello’s father, Peter Tamburello, who was nicknamed ‘Little Man.’ Building on the time-honored tradition of the neighborhood ice cream store, the little shop sells a variety of delicious flavors of homemade ice cream served in cups or waffle cones, along with sundaes, splits, and malts. 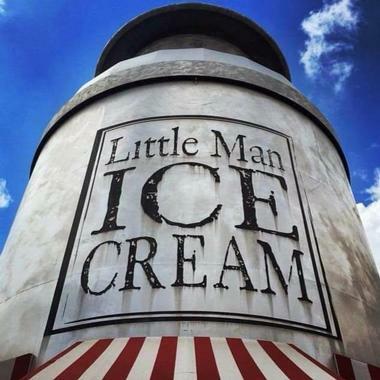 Little Man Ice Cream is open all day, seven days a week. Located in the Lamar Station Plaza, Casa Bonita is an elegant dinner and theater club in the suburb of Lakewood that serves a menu of authentic Mexican cuisine along with live shows and pageantry. Established in 1974 and based in a large pink stucco building with an 85-foot-tall entrance tower, the 52,000 square-foot restaurant seats over 1,000 guests and features a 30-foot high waterfall designed to resemble the cliffs of Acapulco that plunges into a 14-foot deep pool and a dome covered with 22-karat gold leaf and housing a statue of Quahuatomec, the last Aztec emperor. The restaurant also has a unique gift shop that sells a variety of eclectic souvenirs, items, and gifts. 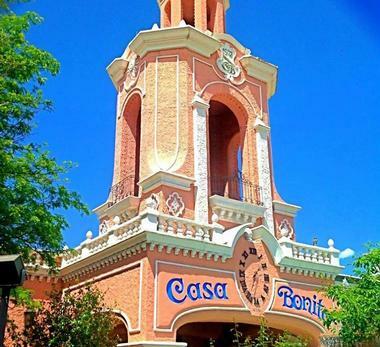 Casa Bonita is open for lunch and dinner, seven days a week. The Dinosaur Ridge is a famous section the Morrison Fossil Area National Natural Landmark that is famous for its dinosaur fossils. Situated in part of the Dakota Hogback in Jefferson County, the rocks on the west side of Dinosaur Ridge form part of the Morrison Formation of a Jurassic age where Arthur Lakes discovered the dinosaur bones in 1877, including Allosaurus, Apatosaurus, Diplodocus, and Stegosaurus. The east side of Dinosaur Ridge features rocks that boast hundreds of dinosaur footprints which were found in 1937 and include theropod tracks, and Iguanodon-like prints. The Dinosaur Ridge Exhibit Hall can be found on the site and features fascinating exhibits about the dinosaurs found at the site and visitors can follow interpretive signed trails around the area that explain the local geology and paleo-ecology, trace fossils, a volcanic ash bed, and other geologic and paleontological features.